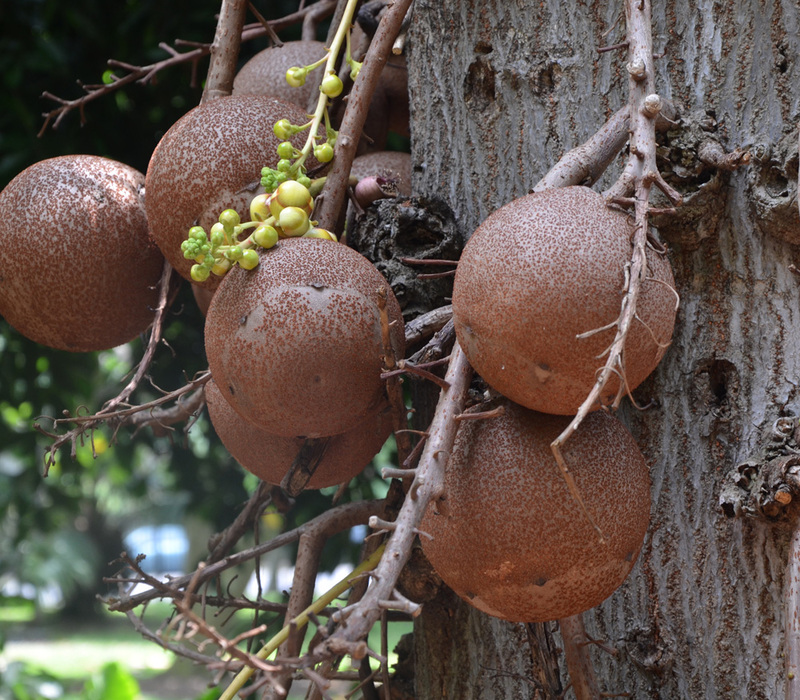 Woody fruit, much like the brazil nut fruit, containing several large seeds (nuts) which are eaten raw or cooked. Seeds are not available for the Monkey Pot. Please visit our seed store to view current selections. Large tree to 100+ ft high. Leaves are pink when young. Upon flowering season in September and October, the monkey pot tree becomes covered in thousands of small rose-purple flowers that attract bees. Fruits ripen in 11-12 months. Ripe fruits split open, spilling their seeds across the forest floor. Seeds are shelled, then eaten raw, roasted or boiled. Reportedly has a walnut/almond-like flavor. Native to rainforest regions of Brazil. The name for the tree comes from an old proverb, "a wise old monkey doesn't stick its hand into a pot", referring to the pot-like receptacles (fruit) that hold the seeds, and monkeys' eagerness to obtain the seeds. Supposedly young monkey's would stick their paw into an almost ripe fruit and would be unable to get it back out for their paws were filled with nuts, while old monkey's would learn it was better to be patient and pull out the nuts one by one.